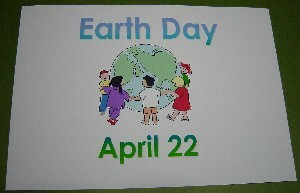 The earth is our home. 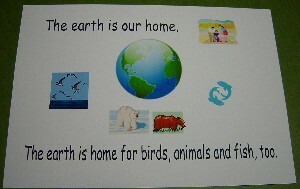 The earth is home for birds, animals and fish, too. 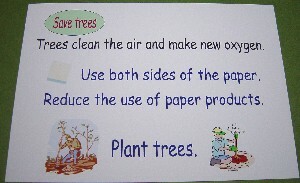 Trees clean the air and make new oxygen. 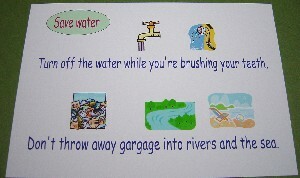 Reduce the use of paper products. 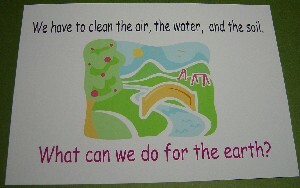 We have to clean the air, the water, and the soil. 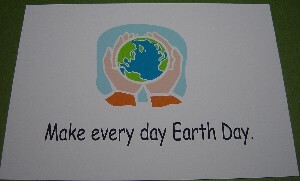 What can we do for the earth? Turn off the lights and the TV when you leave the room. Don't leave the refrigerator door open. 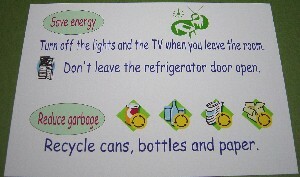 Recycle cans, bottles and paper. Reduce, reuse, recycle, recycle, recycle. Reduce, reude, recycle. It's easy to do. and my world is your world. 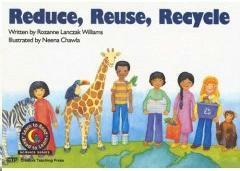 Reduce, reude, recycle. It's easy to do!